Create a realm with the following key settings. The settings below are just the critical settings necessary for this integration. 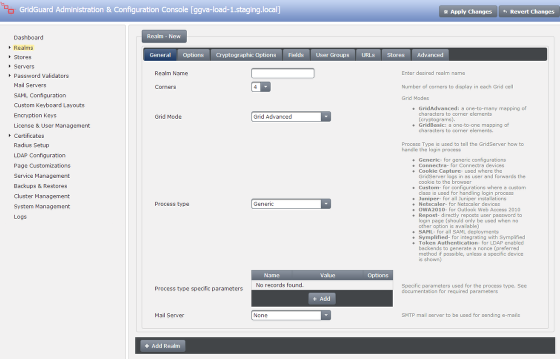 For a full explanation of all the settings refer to the Administration & Configuration Console manual. Admin Groups: Set to the group of users who will be authorized to administer user accounts; perform account resets etc. If no value is specified, nobody will be allowed to administer other users in the Security Center.